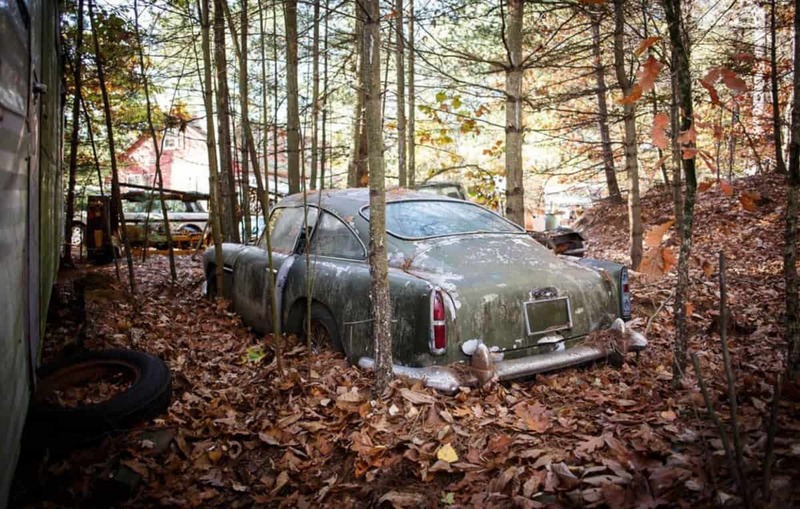 A dilapidated Aston Martin is expected to sell for more than £350,000 despite being partially buried in leaves after languishing in a wood for more than 40 years. The Aston Martin DB4 was the first production car capable of doing 0-100-0mph in less than 30 seconds when it was launched in 1958. It was built to compete with sports cars from Ferrari and Maserati – but this particular model hasn’t moved in almost half-a-century. The car was manufactured in the UK in 1960 and then shipped across to the USA, where it was registered the following year. At some stage in the early 1970s it was parked outdoors at the owner’s home in Massachusetts, USA, where it remained until recently. 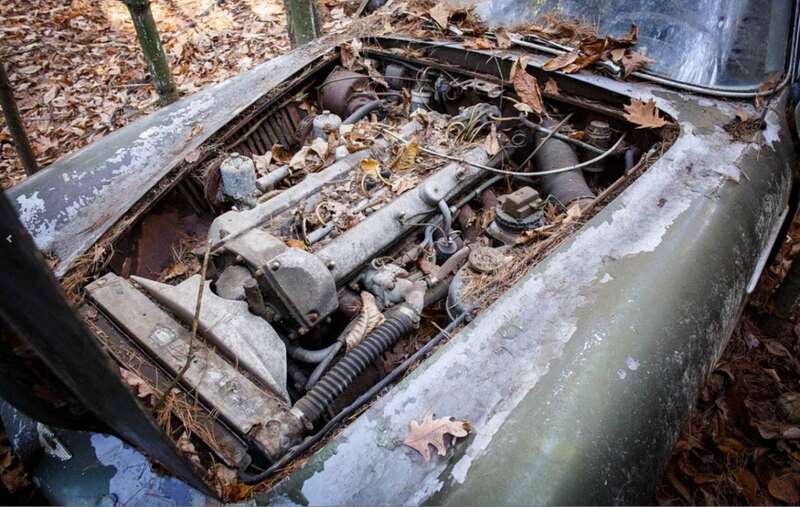 Over the past five decades, the car’s condition has deteriorated after it was surrounded by trees and buried halfway up to its now rusty wheels by leaves. Classic cars often appear after spending years hidden away in barns and lock-ups, but it is highly unusual for such a sought-after and valuable vehicle to emerge from a woodland. 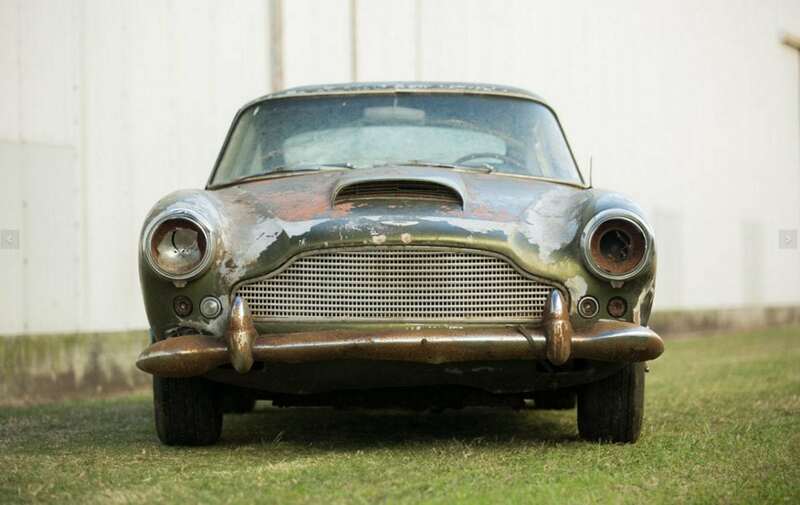 As a result, the Aston Martin – a wreck which will need a full restoration – is being described as “one of the most fascinating examples of these renowned GT cars to come to the market in recent years”. It will be sold on January 18 at Worldwide Auctioneers’ inaugural Scottsdale sale in Arizona. The auction house is giving the Aston Martin a guide price of £300,000 to £385,000. This is 100 TIMES more than the original price and before any work is carried out on it. 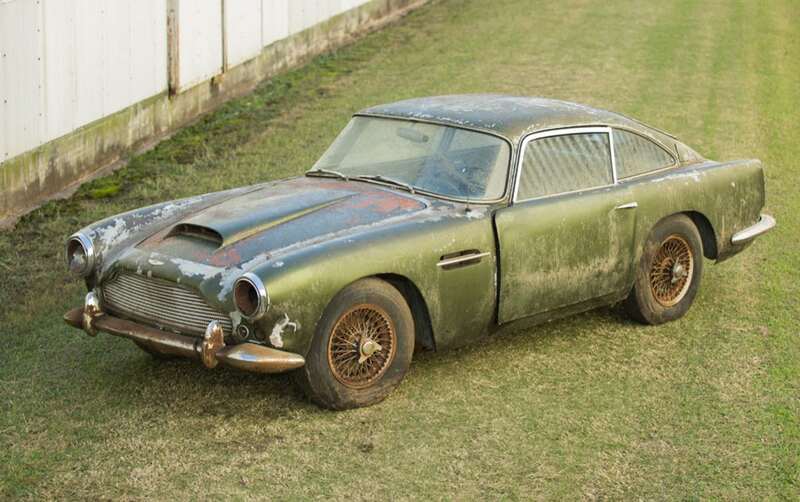 The auction house added the sale of the DB4 is “certain to electrify the Aston Martin faithful everywhere”. 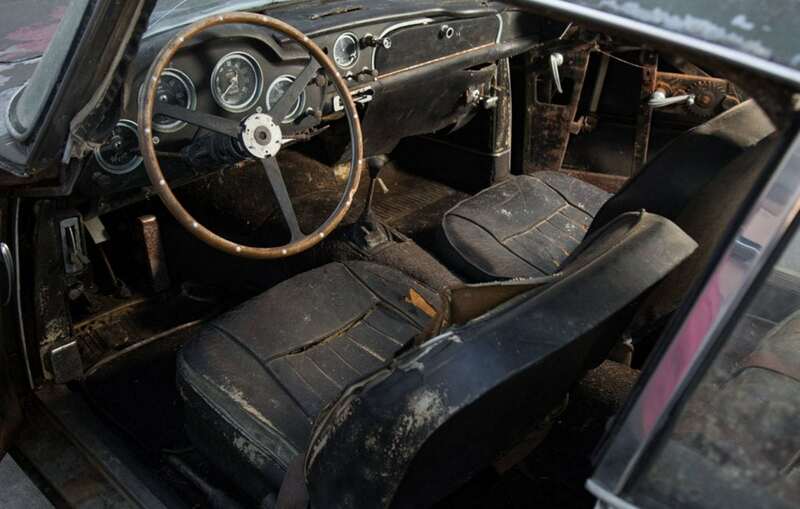 Whoever buys it will then have to commission a full restoration of the 55-year-old classic car. In restored condition, the car’s 3.7-litre engine will develop around 240bhp, giving it a 0-60mph time of nine seconds and a top speed of around 140mph. Aston Martin made around 1,200 DB4s between 1958 and 1963, with the sports car replaced by one of the world’s most famous models, the DB5 as favoured by James Bond.